Thanks for considering 101 Surf Sports for your Stand Up Paddleboard Lesson. We offer a discounted group lesson every Saturday and Sunday at 9:30am right here at our San Rafael location. The lesson includes all the gear you will need. The lesson is 1 hour long and you may paddle as long as you would like after your lesson. 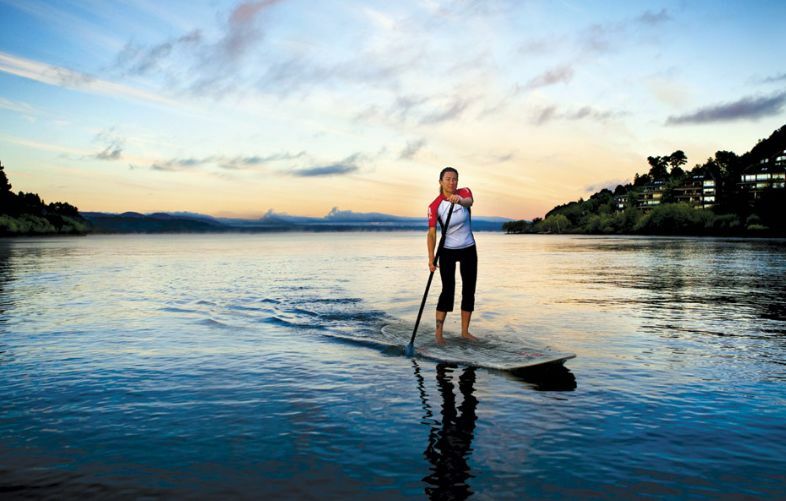 This focus of the class is on covering the basics of Stand Up Paddleboarding, SUP 101. In this class you will have the chance to learn about all of the various terminology associated with SUP as well as the many different types and styles of boards available. 101 Surf Sports will cover the correct paddle stroke techniques as well as general safety skills and guidelines to get you on the water. After discussing and covering the fundamentals on dry land you will get you out on the water and on your way towards San Francisco Bay. What to wear - No wetsuits needed. Wear apparel that is not based in natural fibers (i.e. cotton). Rashguards and Boardshorts are ideal. Clothing made from synthetics like Polyester, Lycra, radon etc are perfect. Yoga pants, workout clothes, and biking apparel are all great. Individual private lessons are also available at $65 for one hour with 30 minutes of free paddle time after the class. Call us at 415-524-8492 to schedule a time that will work.